Lars Kirchhoff, mediator and international lawyer, is Director of the Institute for Conflict Management and Co-Director of the Center for Peace Mediation and at the European University Viadrina. 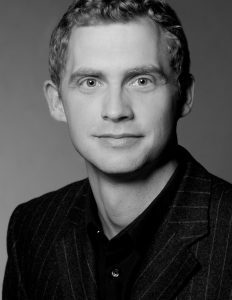 ​After pursuing graduate studies in Passau, Dublin and Berlin, and holding research positions at the Organization for Security and Cooperation in Europe (OSCE), Lars Kirchhoff specialized in Alternative Dispute Resolution (ADR) and International Law during at Yale Law School and at the U.S. District Court of Northern California. His focus of work lies on the analysis, design and methodological improvement of peace processes. Lars Kirchhoff, Mediator und internationaler Rechtsanwalt, ist Direktor des Instituts für Konfliktmanagement und Co-Direktor des Zentrums für Friedensmediation an der Europa-Universität Viadrina. Nach dem Studium in Passau, Dublin und Berlin und Forschungsaufenthalten bei der Organisation für Sicherheit und Zusammenarbeit in Europa (OSZE) spezialisierte sich Lars Kirchhoff an der Yale Law School und am U.S. District Court of Northern California auf Alternative Dispute Resolution (ADR) und internationales Recht. Seine Arbeitsschwerpunkte liegen in der Analyse, Gestaltung und methodischen Verbesserung von Friedensprozessen.